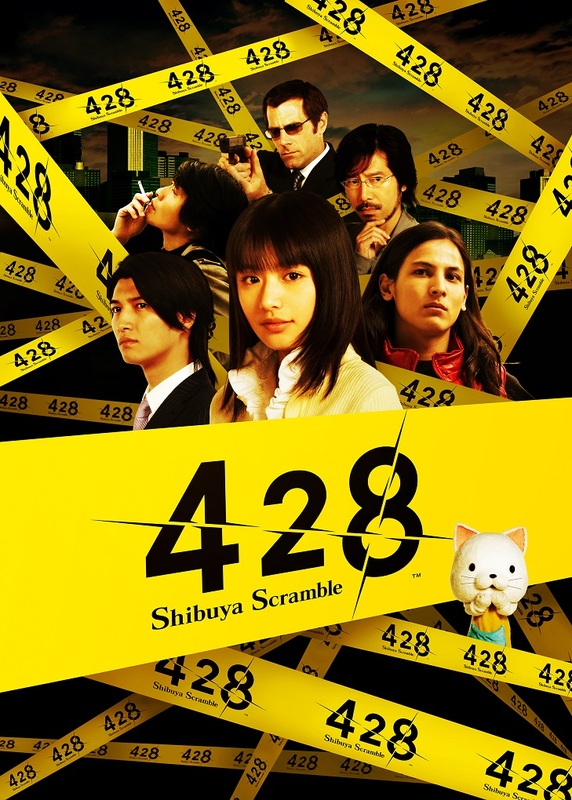 428: Shibuya Scramble is the final game that has scored a perfect 40/40 score in the Japanese video game magazine Famitsū to be announced for localization in North America. A visual novel title that was originally released for the Nintendo Wii in 2008, Spike Chunsoft has announced that they will be localizing this title to North America in Summer 2018. 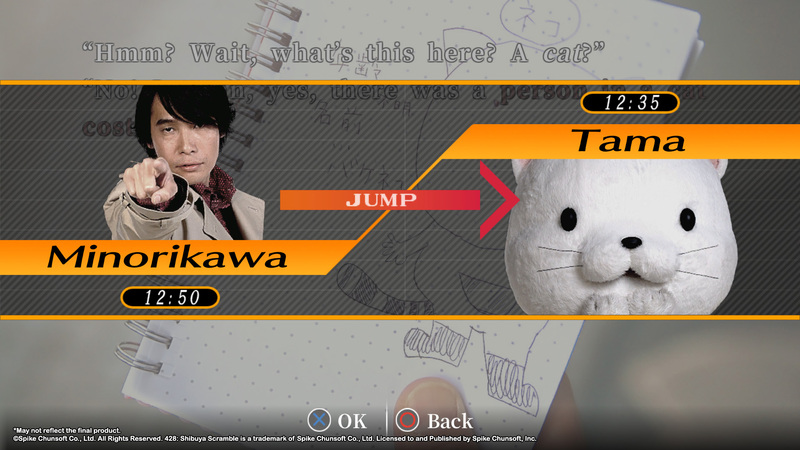 During my time with Spike Chunsoft at GDC 2018, I was able to watch (and pick, more importantly) the dialogue options for a brief section of 428: Shibuya Scramble and get a real sense of how good the upcoming localization will be. The game stars five protagonists: Achi (a street cleaner), Kano (a detective), Osawa (a father), Minorikawa (a writer), and Tama (a person who wears…a full-body cat suit). 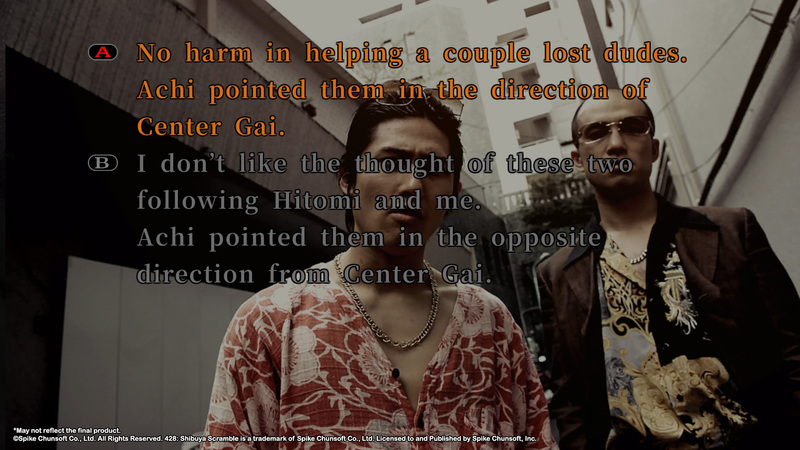 These five characters get involved in what looks like, at first, a random kidnapping case in Shibuya over a ten-hour (in-game) period as they interact with each other and influence each other’s own storyline to result in more than fifty available endings in 428: Shibuya Scramble. The five protagonists of 428: Shibuya Scramble. The gameplay takes place in ‘time blocks’ over a ten-hour period (as you can see in the top-right corner). (Image courtesy of Spike Chunsoft). There are a number of things about this game that stand out. First and foremost, there are the graphics. 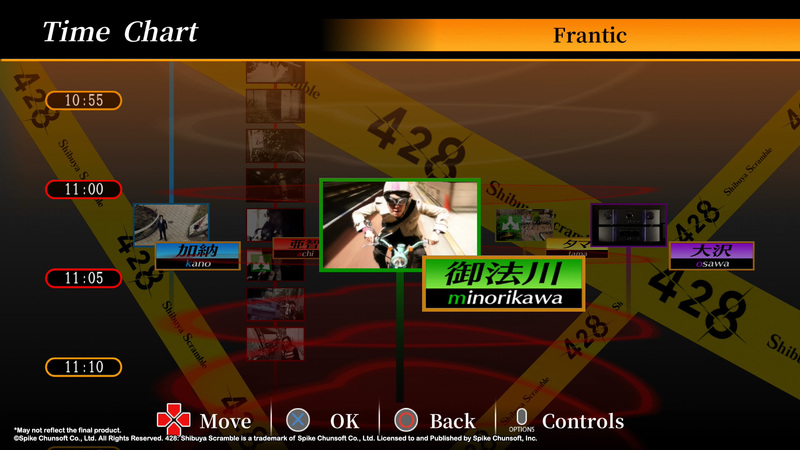 Unlike most visual novel games out there, 428: Shibuya Scramble takes place against real-world photographs and video clips of the characters and the area of Shibuya. It is a bit unsettling at times to see, but it makes for a striking visual as you can clearly identify with the characters you see as real people (yes, even Tama). Second, you will frequently jump between different characters point of views and get to see the events occur from multiple perspectives. For example, during my hands-on time, I saw an encounter with Kano and Minorikawa that first told the story from Kano’s perspective as I picked a gameplay option from him, and then the game flipped timelines to Minorikawa’s to where I saw the exact same events from his perspective…that ended in a bad ending. 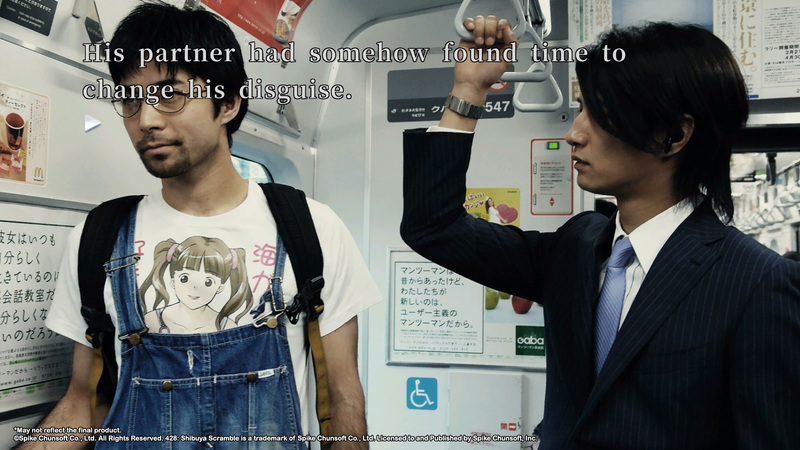 When you wind up at a bad ending in 428: Shibuya Scramble though, all is not lost. As you complete a path and wind up at an ‘ending’, you can then go back to the pivotal moment and change what occurs next in order to continue down the storyline. 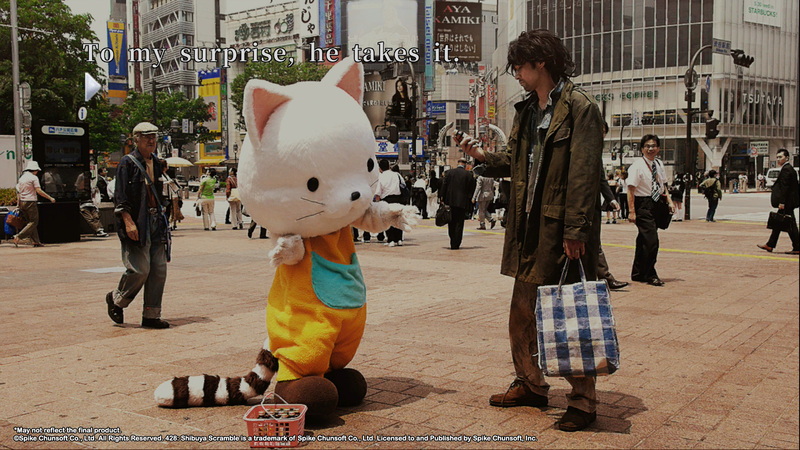 There are many, many choices you will have to make throughout 428: Shibuya Scramble…any of which can lead to a different ending. (Images courtesy of Spike Chunsoft). Of course, the biggest thing about any localized visual novel game is the quality of the writing and how well it works with the characters. After all, if the localization writing isn’t there…then the game doesn’t work no matter how good the plot is in the original version. Thankfully, I have no concerns here with 428: Shibuya Scramble. After my brief time with the game, I was quite pleased with the job that Spike Chunsoft has done in localizing the game dialogue and text. The story that is being told was engaging, and it drew me in rather quickly (as it should). 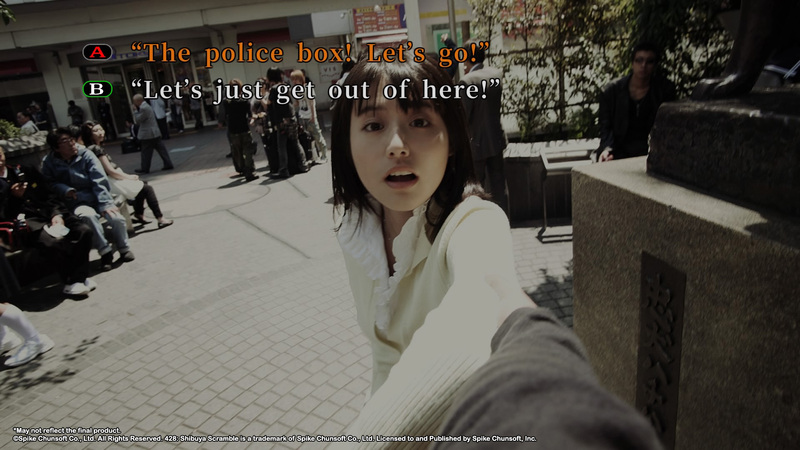 428: Shibuya Scramble is definitely one unique-looking visual novel. (Images courtesy of Spike Chunsoft). If you want to preorder 428: Shibuya Scramble (and you should…I mean seriously, 40/40 in Famitsū), you can preorder it on Amazon for the PlayStation 4 and on Steam. 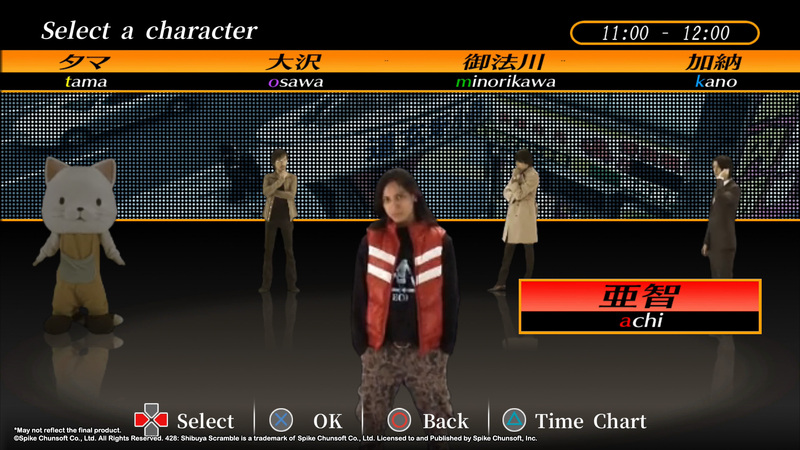 Who are you most excited to play as in 428: Shibuya Scramble? What do you think of the art style used in the game?